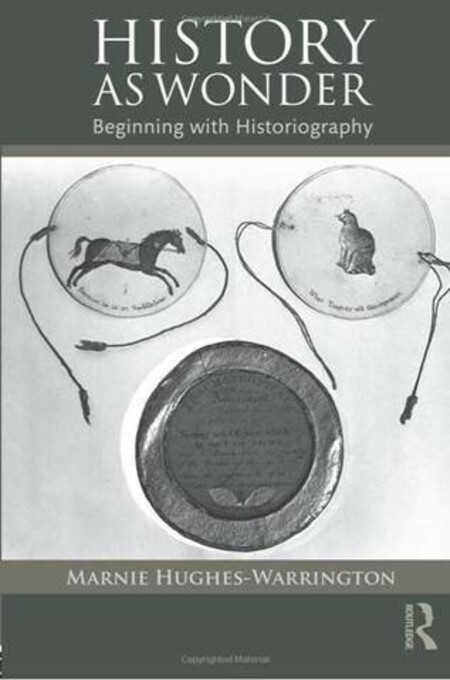 On Wednesday, 27 March, at 5:45 pm author Marnie Hughes-Warrington will be launching her new book ‘History as Wonder: Beginning with Historiography’. Professor Rae Frances, Dean of Arts and Social Sciences at the ANU, will be hosting the launch and the Head of School of History, Professor Frank Bongiorno and Professor Joy Damousi will launch the book at Harry Hartog Books, ANU (University Avenue, building #153). From Ancient Greek histories and wonder works, to Islamic curiosities and Chinese strange histories, through to European historical cabinets of curiosity and on to histories that grapple with the horrors of the Holocaust, Marnie Hughes-Warrington unpacks the ways in which historians throughout the ages have tried to make sense of the world, and to change it. This book considers histories and historians across time and space, including the Ancient Greek historian Polybius, the medieval texts by historians such as Bede in England and Ibn Khaldun in Islamic Historiography, and the more recent works by Martin Heidegger, Luce Irigaray and Ranajit Guha among others. It explores the different ways in which historians have called upon wonder to cross boundaries between the past and the present, the universal and the particular, the old and the new, and the ordinary and the extraordinary. Promising to both delight and unsettle, it shows how wonder works as the beginning of historiography. Accessible, engaging and wide-ranging, History as Wonder provides an original addition to the field of historiography that is ideal for those both new to and familiar with the study of history.